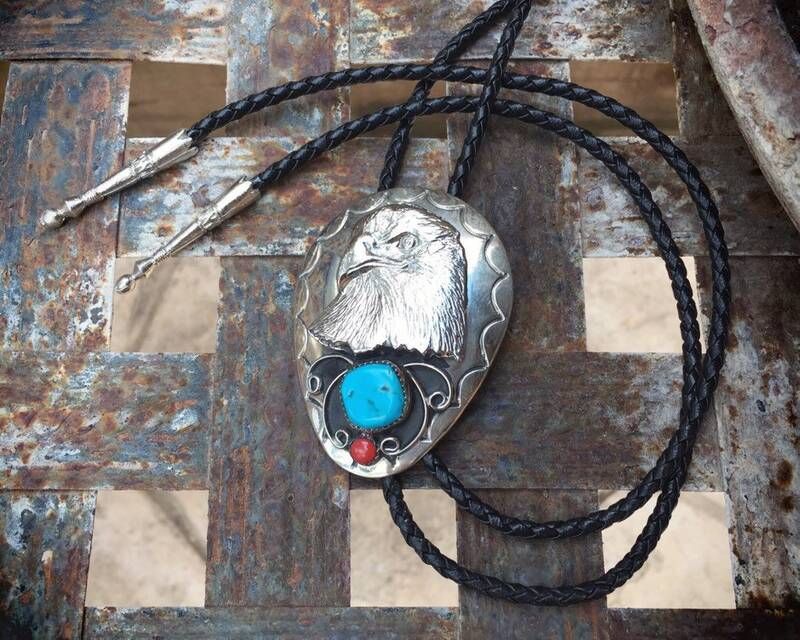 Here we have an older bolo tie that with a cabochon of blue turquoise and a small cab of coral, and what's stand-out about the piece is the large eagle head featured in the design. 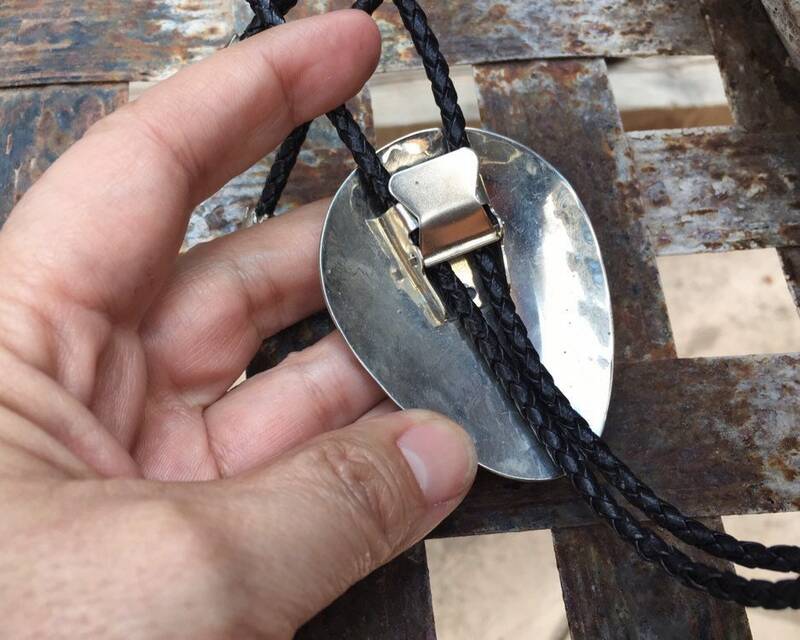 The piece is made of German silver, which has no sterling content. 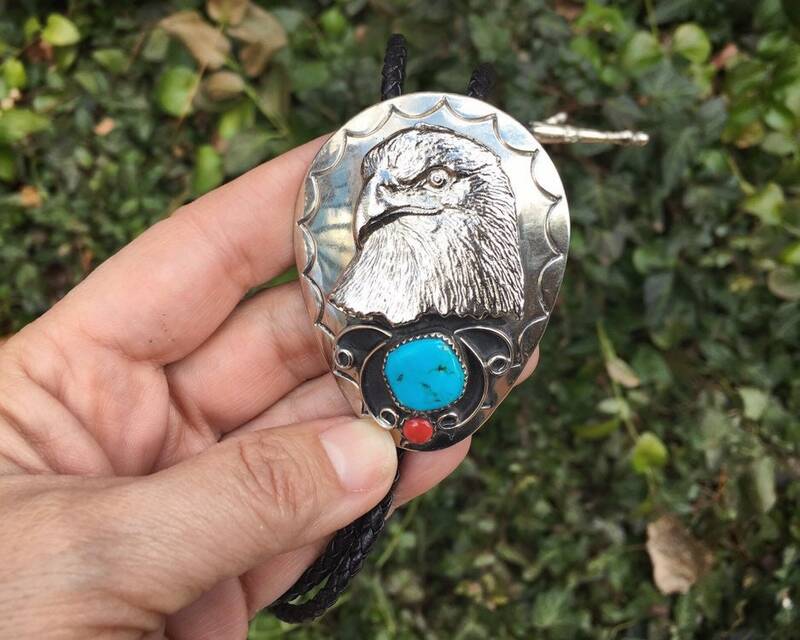 Pieces like this were manufactured in the 1970s and 1980s, when Native American jewelry hit a heyday in popularity. Artists used German silver to make pieces more affordable. 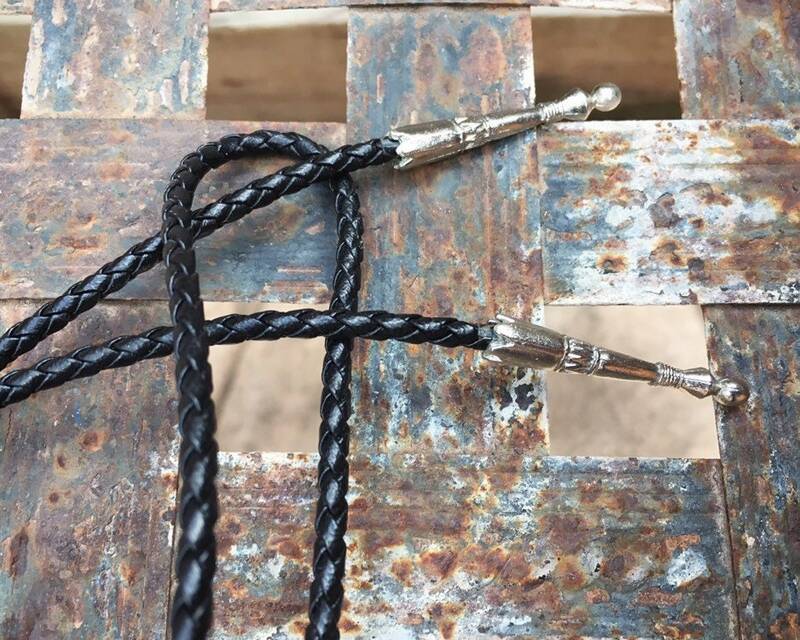 The piece is well made. 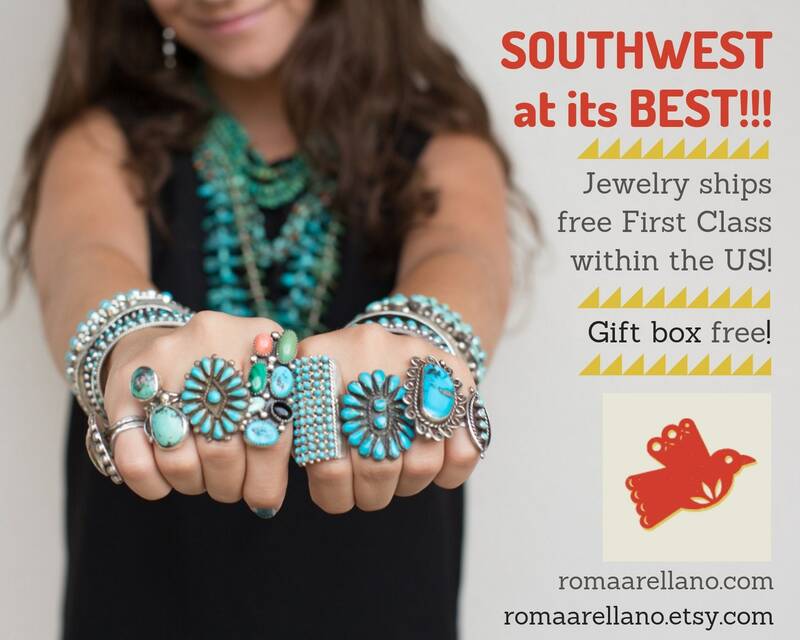 The turquoise is authentic and the oxidized treatment and flourishes are traditional. 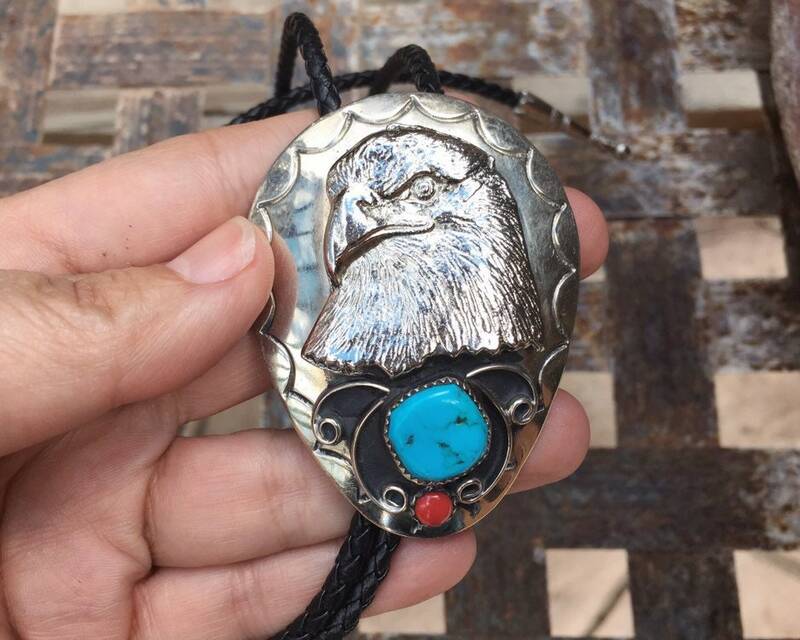 The piece also has such a nostalgic look and feel--I can just picture it on my grandpa or my uncles at the race tracks or a family gathering. 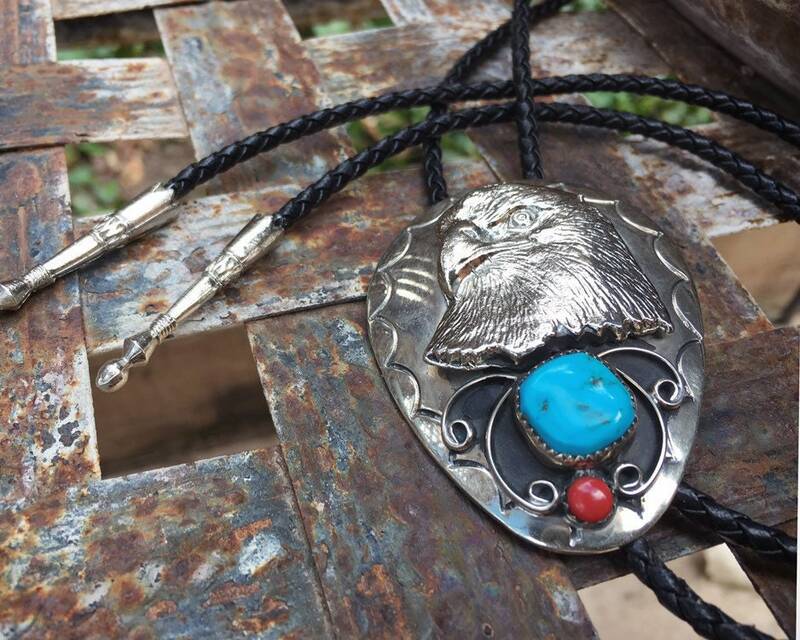 The tips are original although they, too, are not sterling silver. 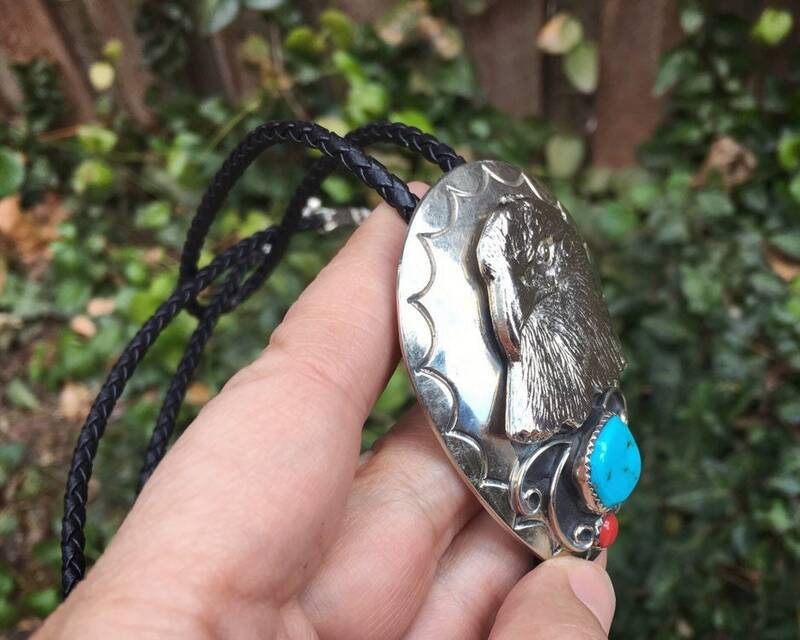 There is no hallmark, so we can't say for certain whether it's Native American; however, we believe it's Navajo or made by a Southwestern shop. 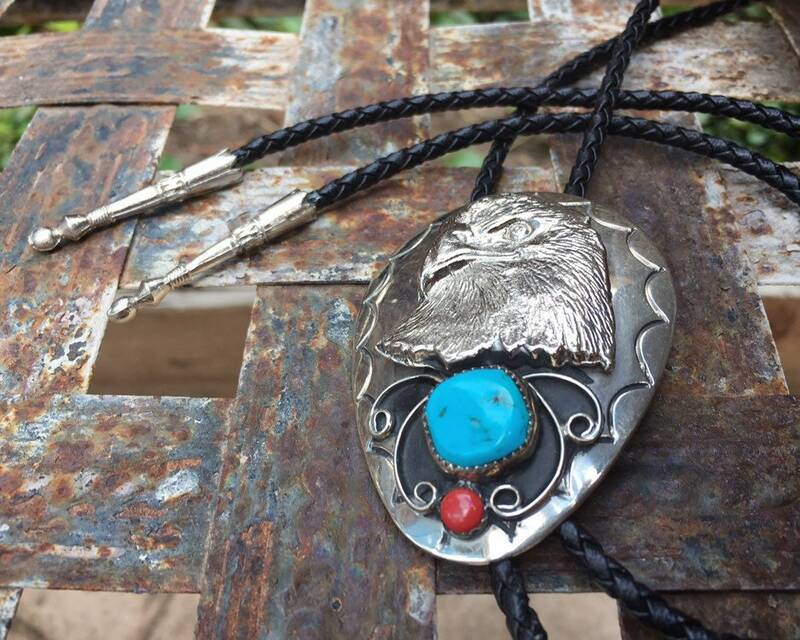 The bolo "slide" (the main part of the bolo tie) measures 1-7/8" wide at the widest point by 2-1/2" long, with the turquoise cab being about 1/2" in diameter and the coral cab a little under 1/4" in diameter. In good condition.